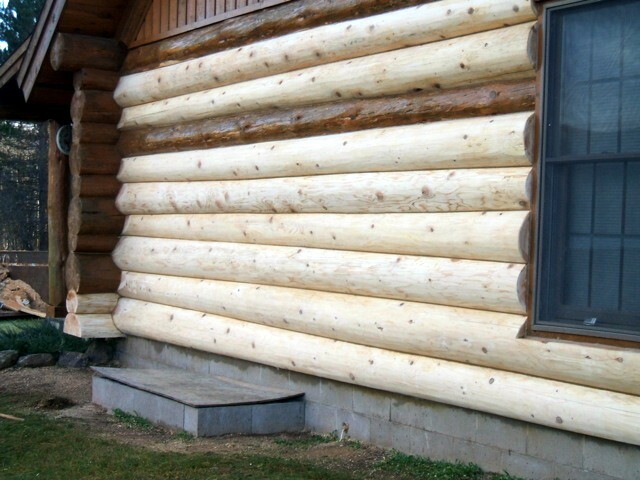 It’s that time of year when folks start looking forward to spring and that perfect log cabin up north! You probably have visions of the quaint little log cabin overlooking a small, clear water bay, or a log home with room for everyone to sleep and socialize together over the Fourth of July. These visions are perfect so don’t lose sight of them as I highlight some things to consider before the closing day arrives on your dream log home or cabin. What will these repairs cost? There are many problems to consider that are specific to log homes. Getting a pre-purchase inspection before you buy gives you a little insurance so that you can proceed with this valuable information when negotiating with the seller. Sometimes log cabins only need a little work to bring them back to their former glory, while others need extensive work. A pre-purchase inspection can give you leverage to have certain aspects of the home repaired before closing or the price reduced to reflect the cost of necessary repairs. The report from Edmunds & Company includes the pricing for what it would cost to return the home to the condition where it only needs routine maintenance vs. repairs. No one wants to have a hidden cost when they are buying a new property. If you would like more information pertaining to a pre-purchase inspection, please contact us or call 715-373-5744. If you are in need of a general home inspector in the upper Midwest, we have worked with Gary from A+ Inspection Specialists LLC on a number of log home inspections.